Healthy competition is one of the most important elements in keeping our economy afloat. Its what drives people to take jobs and is the core base of all sporting events. A little bit of healthy competition isn’t just healthy, but it is also extremely important. It is also an element that is wired into the human psyche. Most people are competitive by nature, and this factor drives them forward. There are many types of competitions in the world but not all of them are what you would expect. Here is a list of 10 of the strangest competitions you can battle in. This rural competition managed to become an actual event thanks to the annual Egremont Crab Fair. It involves putting your face through a giant horse shoe and making a silly face known as ‘gurnin through a braffin’. This might seem completely strange and pointless, and it really really is. This competition may sound juvenile at first, but it is actually one that goes back all the way to 1976. It was started by a pub in Derbyshire, and now sees hundreds of people eagerly competing in the event. 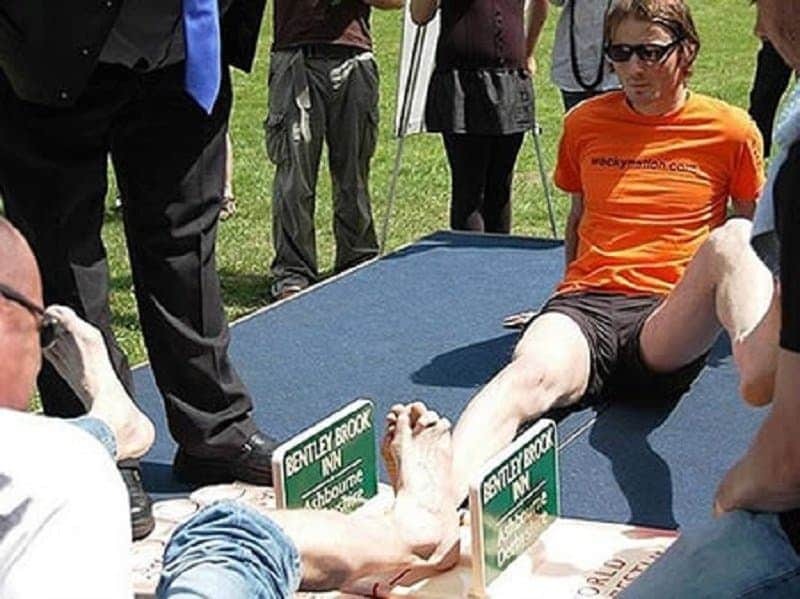 It is known to get pretty competitive as well, with many cases of broken toes and ankles reported at the event. This competition is conducted annually, and involves people busting hot rubber bottles using only their nose. It might seem extremely strange, but this is considered an actual skill by many people. 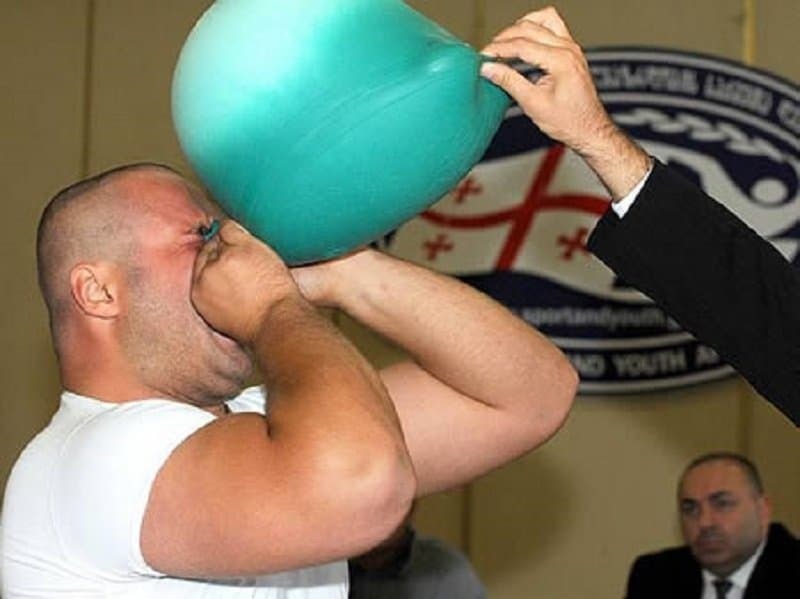 The current record is held by Jemal Tkeshelashvili, who burst three bottles in under a minute. This might seem like a feat very few people can do, but you will be surprised to see the turnout of competitors at the palm tree trunk climbing competition. 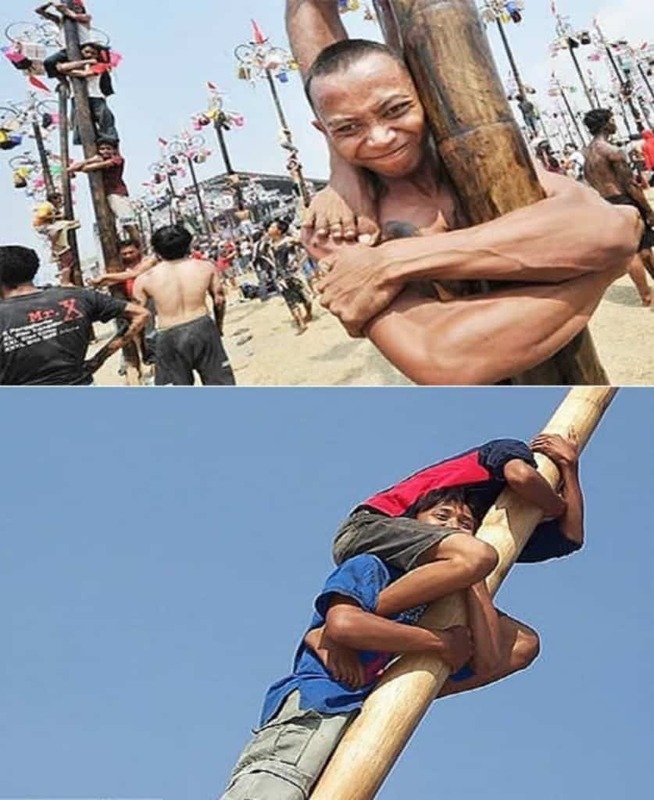 This is conducted during Indonesia’s Independence day, which is August 17th, and involves teams of four helping each other reach the top of the tree first. 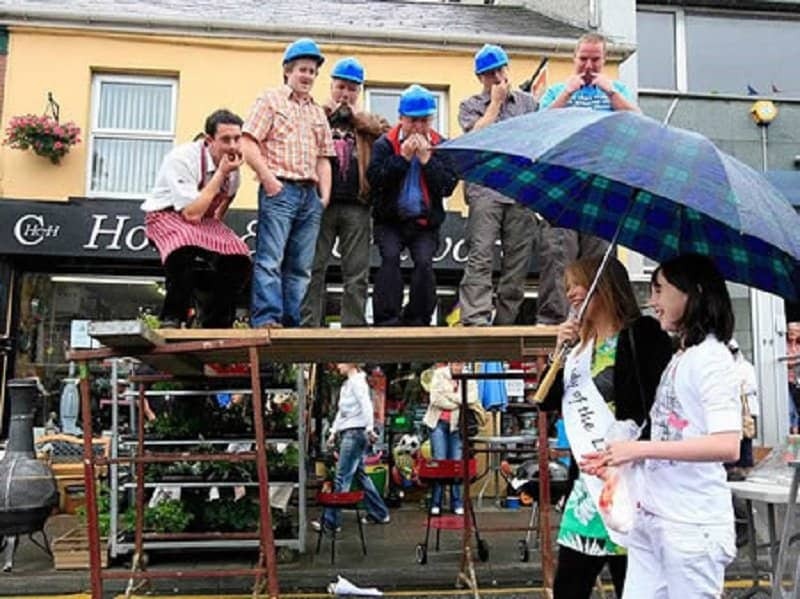 This bizarre competition was started in Ireland in 2009. 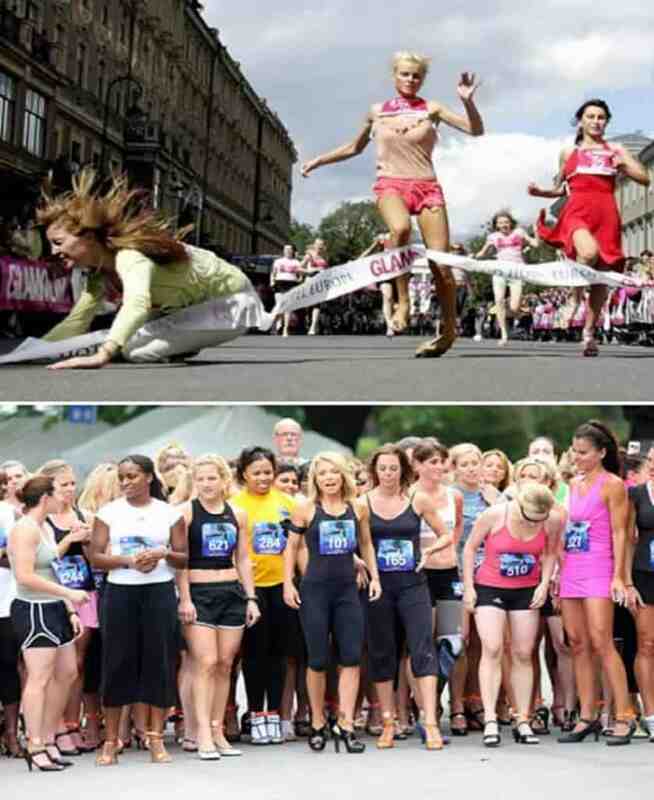 The competition involved a whole lot of women parading the streets one at a time, and all the competitors have to line up and wolf-whistle at them to the best of their abilities. The men and women were extremely sportive about this competition. 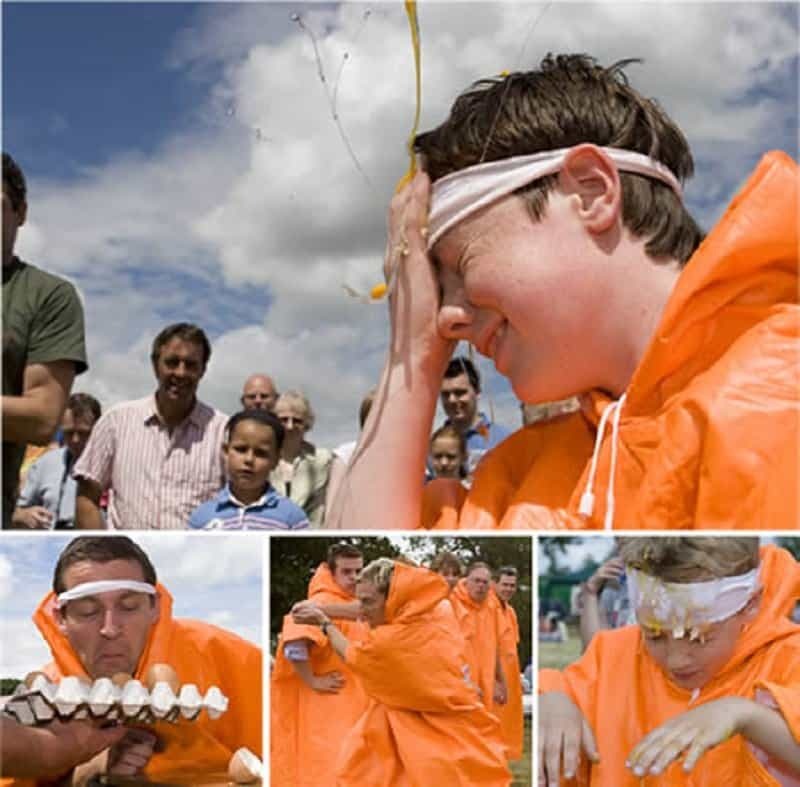 The World Egg Throwing Competition has been happening each year since 2006 and is conducted in jolly old Britain. It involves four major categories, if you can believe it, including ‘throw and catch’, ‘egg static relay’ and ‘egg Russian roulette’. These events are contested by teams of varying sizes and the overall turnout is pretty huge if you consider the fact that this is a competition involving eggs. This race was started by a shoe manufacturer as a form of publicity but has now become a global event conducted in many cities. The women are supposed to run a marathon only using high-heels and if they win the race, they get an awesome shoe from Manolo Blahnik. Soccer was clearly not exciting or challenging enough as a sport, so people decided to make it just a tad bit more layered by adding some mud to the equation. 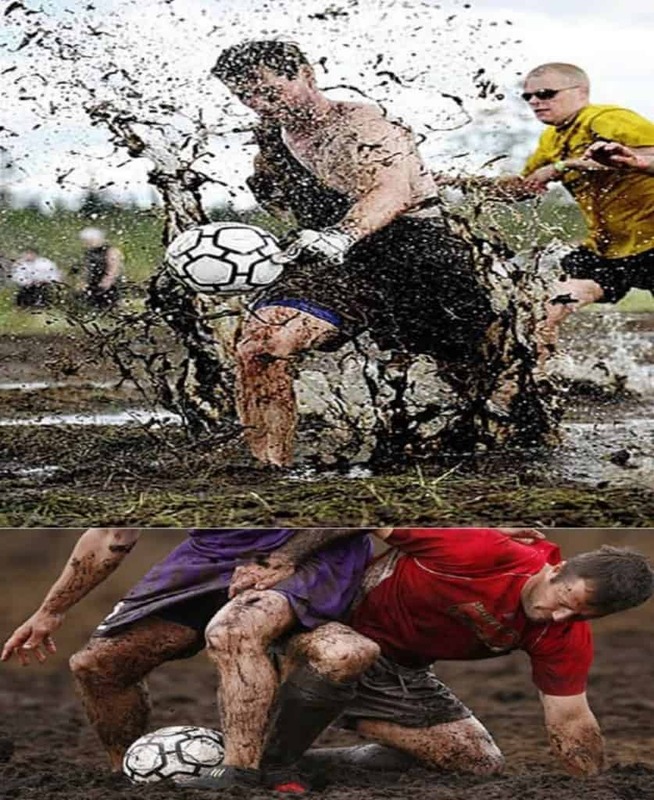 There is an actual world championship for Mud soccer and it sees participation in the thousands. This event was started in New York in 2009, in response to the rising rate of unemployment. A former computer programmer decided to create this event to lift the spirits of all those people who are unemployed. 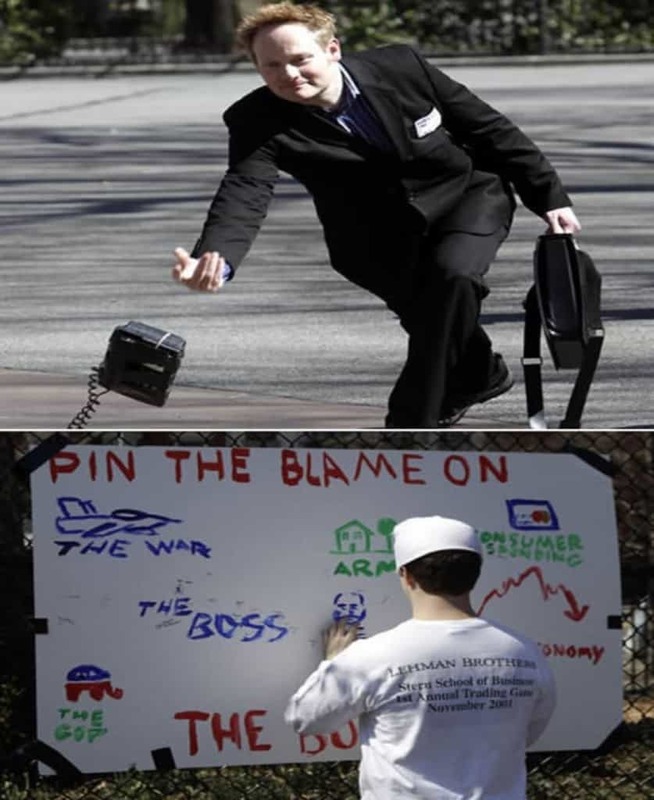 Over 20 people participated in games such as ‘pin the blame on the boss’, ‘office phone skee-ball’ and the ‘You’re fired’ race. 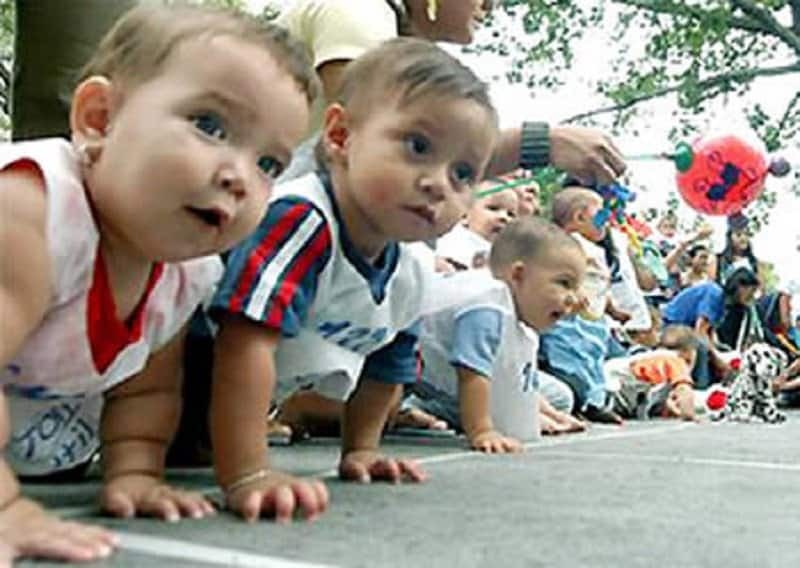 This hilarious event was conducted in Cali Columbia which saw a participation of over a thousand babies. The rules are pretty simple – babies between the ages of 8 to 18 months are supposed to race down a 5 meter straight strip. First baby at the end of the line is the winner!